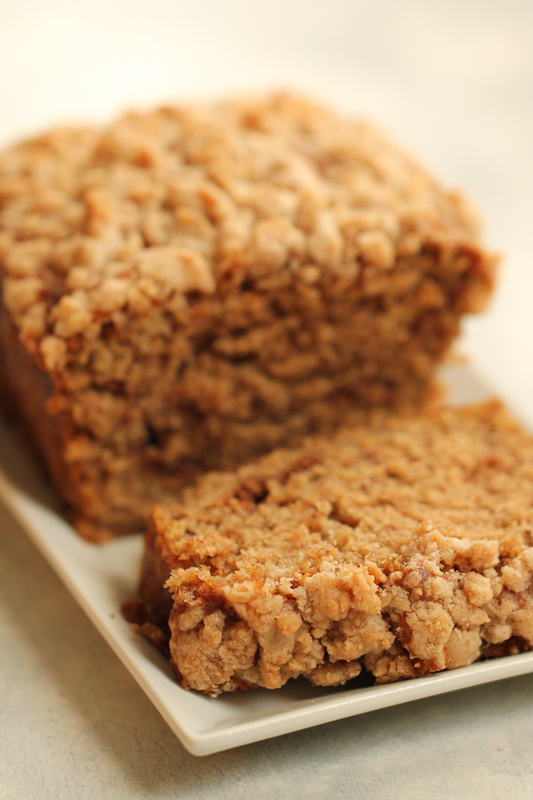 We never get tired of banana bread. We love coming up with new recipes and tweaking them until we have the perfect recipe. 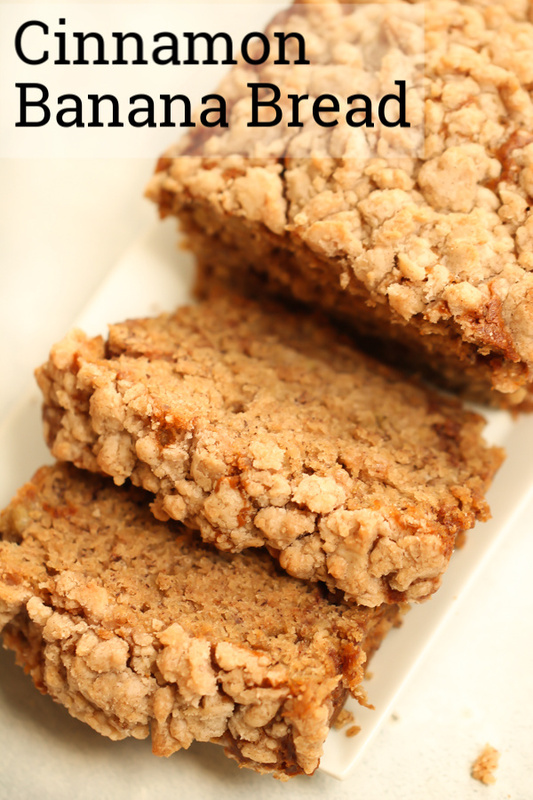 You'll love this Cinnamon Banana Bread with a crumble topping that is out of this world delicious! We have the best Cinnamon Banana Bread recipe for all of those ripe bananas that are sitting in your kitchen. It’s moist and bursting with banana and cinnamon flavors. 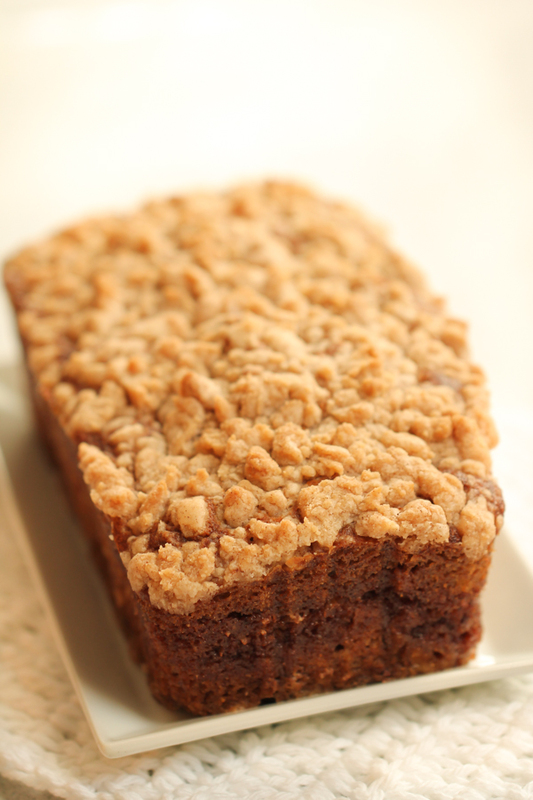 Then we added a delicious crumble topping on top of this bread to send it over the top. It’s absolutely amazing. Our family devoured it in minutes. It’s great right out of the oven, or at room temp. Our recipe for Cinnamon Banana Bread makes 2 loaves in 8 x 4 inch loaf pans. If you don’t have that size of pan, the aluminum ones at the grocery store come in that size for a few dollars. Does this bread freeze well? This bread freezes great. Our Cinnamon Banana Bread makes 2 loaves. We often eat one loaf and then freeze the other one to eat at a later date. For freezing we have wrapped it in foil or put it in a freezer container. can you make this bread in other sized pans? This recipe calls for 2 8 x 4 inch loaf pans. That is what size works best. You can also use aluminum pans from the grocery store and they work great. You could make this in an 9 x 5 inch pan, but you will have more batter than you need. Placing all of the batter into a 9 x 5 inch pan will cause it to overflow. So if using a 9 x 5 inch pan, only fill the pan about 3/4 full. Watch closely for cooking time. This could also be used in a muffin tin. Fill about 2/3 full and watch closely for the cooking time. 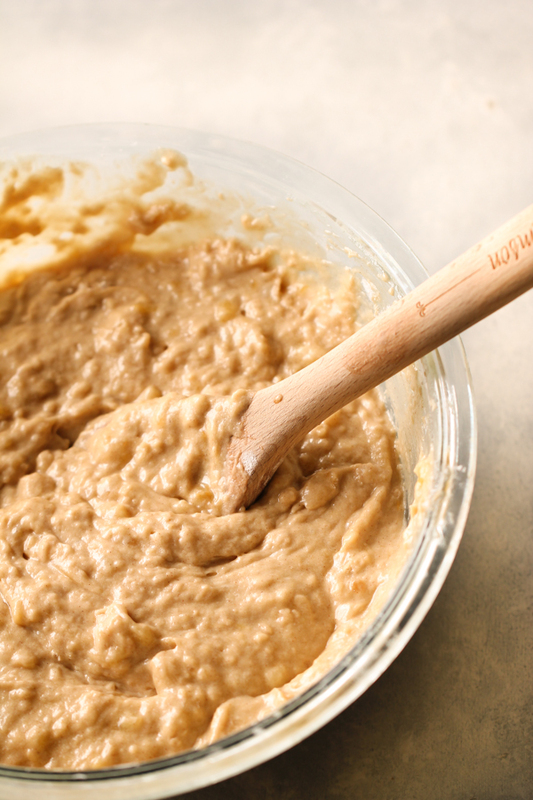 A few ripe bananas and ingredients you have on hand results in an amazing banana bread. Lightly grease 2 8 x inch loaf pans with non stick cooking spray. In a big mixing bowl cream together the butter and brown sugar. Set aside. 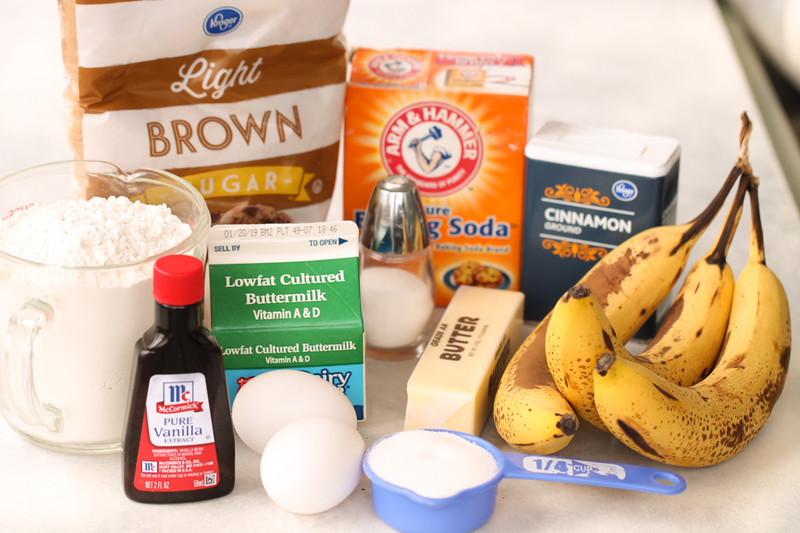 Add in eggs, mashed bananas, and vanilla. Mix until combined. In a separate bowl mix the flour, baking soda, salt, and cinnamon. Add the flour mixture and buttermilk to the brown sugar mixture. Stir until blended. Do not over mix. In another small bowl combine the cinnamon and sugar. Divide half of the batter into the 2 loaf pans. Sprinkle the loaf pans with the cinnamon sugar mixture. Swirl the mixture into the batter with a knife. Then top the cinnamon/sugar mixture with the other half of the batter. 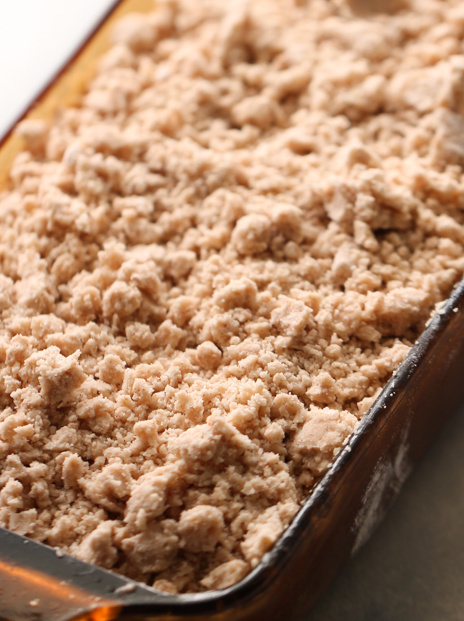 Prepare the crumble topping by mixing the ingredients together. It will be crumbly. Sprinkle the crumble topping over the batter. Bake at 350 for about 43-45 minutes. Cool for a few minutes and then slice and serve. Mixing Bowl Set – This set of 6 mixing bowls is great with so many sizes. 8 x 4 Loaf Pan – This pan is great for making quick breads. Mixing Spoons – This set of 3 wooden mixing spoons are our favorites. 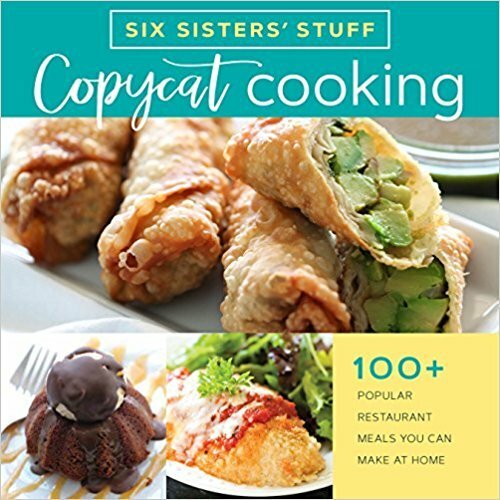 All of these recipes are so easy and delicious. In a large mixing bowl cream together the butter and sugar. Set aside. Add in eggs, bananas, and vanilla. Mix until combined. Add the flour mixture along with the buttermilk to the brown sugar mixture and stir until blended. Do not over mix. Place half of the batter into the 2 pans. So each pan has about the same amount. Sprinkle the loaf pans with the cinnamon and sugar mixture. Swirl the mixture in with a knife. The place the other half of the batter over the top of the cinnamon/sugar mixture. 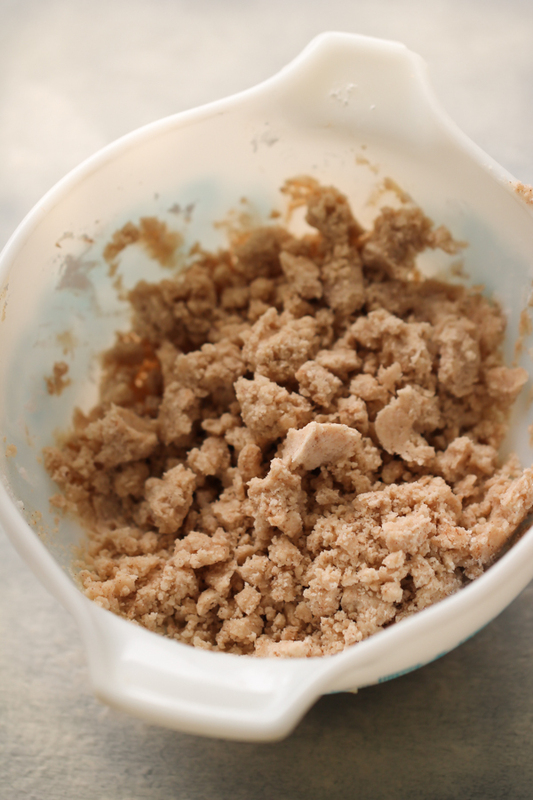 Prepare the streusel topping by mixing the ingredients together. Bake for about 43-45 minutes or until done in middle. Watch how easy it is to make Cheesy Garlic Bread.